Democrat Jeff Van Drew addresses his jubilant supporters while declaring victory in the 2nd Congressional District race. Democrat Jeff Van Drew defeated Republican Seth Grossman to win the hotly contested 2nd Congressional District race that pitted a moderate against a staunch conservative who aligned himself with President Donald Trump. In New Jersey’s U.S. Senate race, Democrat Bob Menendez won his third term, beating back Republican candidate Bob Hugin, a former pharmaceutical executive. 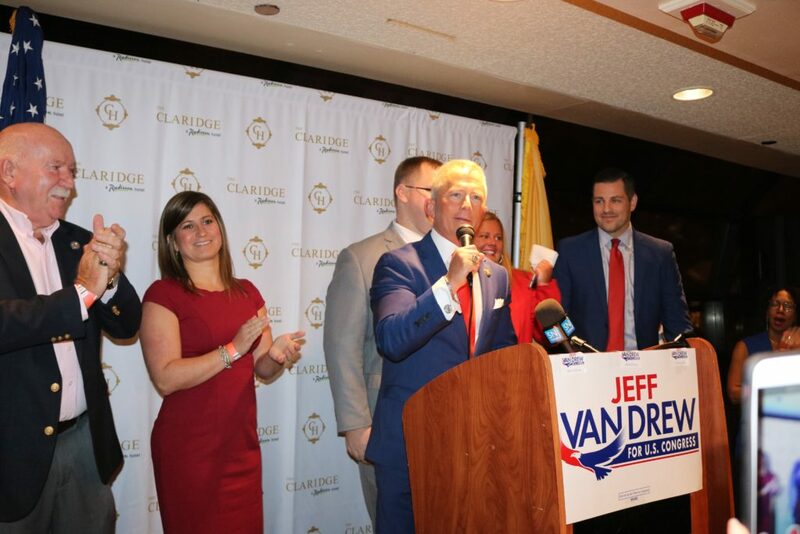 “I just wanted to come down and tell you, we won,” Van Drew exclaimed as the crowd erupted in cheers in a ballroom at the Claridge Hotel in Atlantic City. 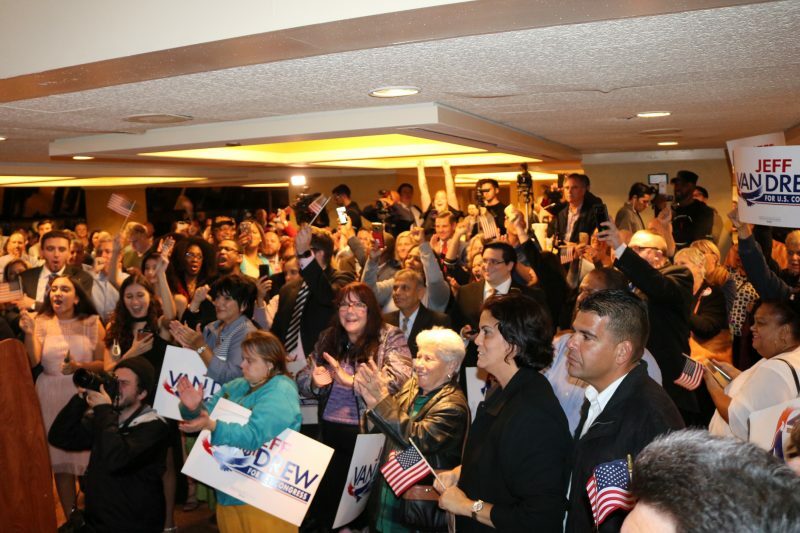 an Drew supporters erupt in applause at Democratic Election Night headquarters at the Claridge Hotel in Atlantic City. 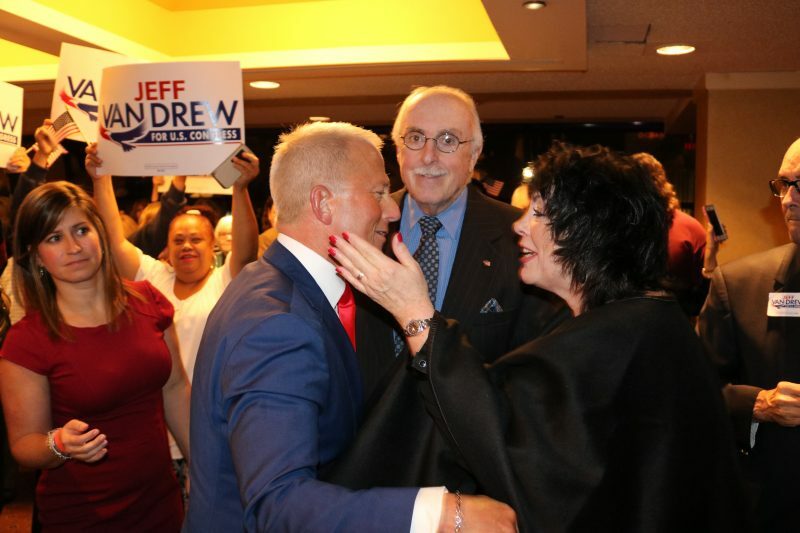 Van Drew called the race a “flashpoint” election that featured two opponents with dramatically different political views. Van Drew cast himself as a moderate, while Grossman, 69, touted his conservative credentials and support for Trump. 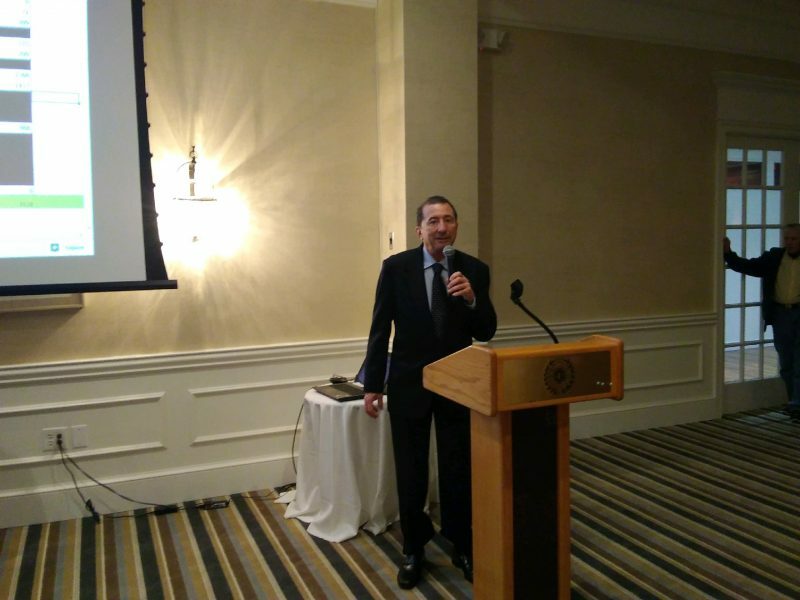 With the retirement of U.S. Rep. Frank LoBiondo, the popular Republican who has represented South Jersey since 1995, the 2nd Congressional District was seen as a key battleground race for the midterm elections. Van Drew, a veteran lawmaker who has served in both New Jersey’s Assembly and Senate, becomes the first Democrat to represent the district since former Rep. Bill Hughes, who served from 1975 to 1994. “I want to be a very, very, very, very good congressman,” Van Drew told the crowd at Democratic headquarters. Van Drew receives congratulations from Sea Isle City attorney Beverly McCall, while her husband, Frank McCall, looks on. The 2nd Congressional District encompasses a vast swath of territory in the southern part of the state – eight counties and 92 towns. 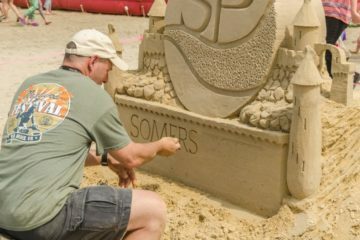 It includes towns along the Jersey and Delaware Bay and some of the state’s most rural communities. Atlantic, Cape May, Cumberland and Salem counties make up the core areas, with parts of Burlington, Camden, Gloucester and Ocean counties also included in the district. 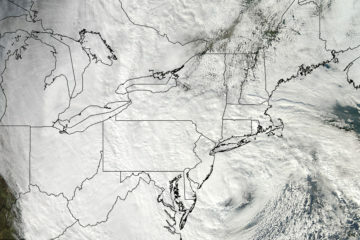 “Washington, as we know, is dysfunctional,” he said. Giving a glimpse of his agenda as a new congressman, he vowed to fight a proposal by the Trump administration to open the New Jersey coast to offshore drilling of gas and oil. 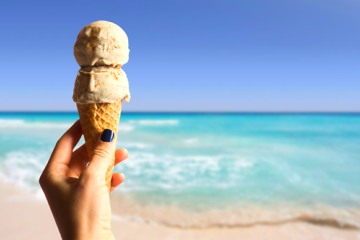 Political leaders along the Jersey Shore have been united in their opposition to the Trump plan, warning of the possibility of an oil spill that could be catastrophic to tourism and the environment. Van Drew also called for more affordable healthcare, including coverage for pre-existing medical conditions. He also pledged to fight for better healthcare and social services for the nation’s veterans. He also stressed the need to protect South Jersey’s economy, particularly the small businesses sprinkled throughout the district. Republican Seth Grossman speaks to reporters while awaiting election results to come in at his campaign headquarters. 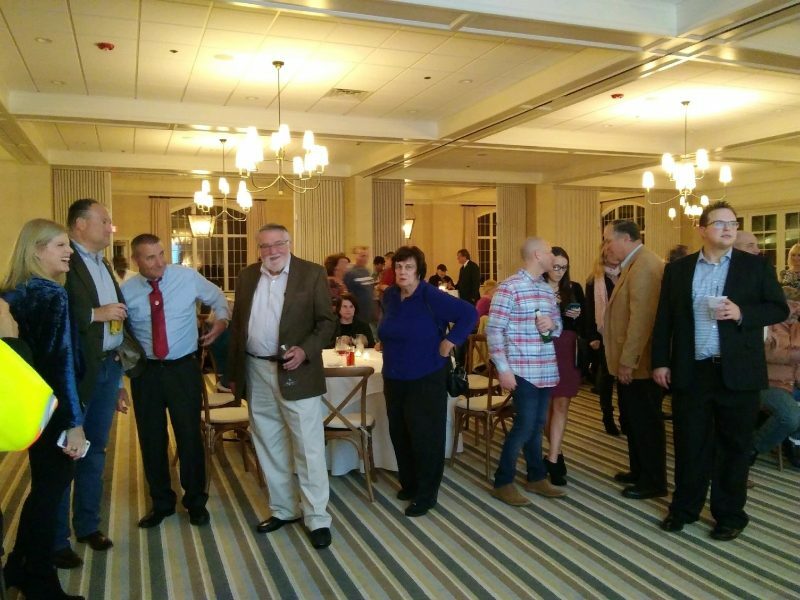 In contrast to the celebratory atmosphere Tuesday night at Van Drew’s gathering, the mood was somber at the Republican headquarters at the Linwood Country Club. Earlier, Grossman spoke to the media when it appeared clear the tide would go in favor of Van Drew. “I’m disappointed,” he said of not being able to get enough votes to capture the seat. He said while his campaign message was strong, he wasn’t so sure the effort of getting the vote out was there. 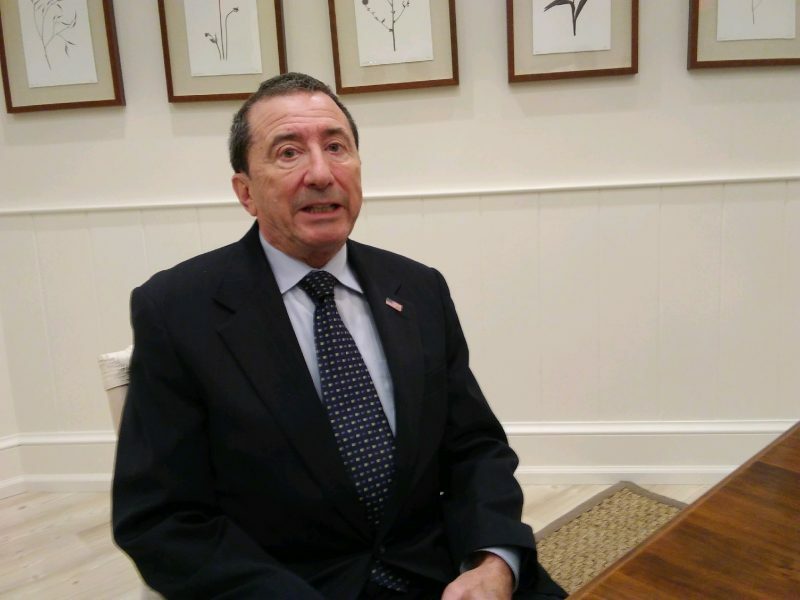 Despite doing well in some counties and winning some communities, Grossman reflected on the time when he ran for another office. “As one who got elected freeholder by one vote, you either win or lose,” he said. Grossman supporters appear somber when it became evident Van Drew was the winner. He also commented about the Washington Post declaring Van Drew the winner after Grossman captured the Republican primary in June. “The ordinary citizen is who kept me in the race when others wrote me off,” he said. Atlantic County Republic Chairman Keith Davis told the crowd that Grossman was a “guy who wasn’t supposed to win,” referring to the surprise primary victory. “This Atlantic County organization stood by him. He ran tirelessly,” Davis said. Grossman called himself the “most consistently conservative” of all the candidates. The former Atlantic City councilman and former Atlantic County freeholder has practiced law since 1975. He is also a newspaper columnist and guest host on local talk radio. During his campaign, he blamed illegal immigrants for putting a strain on New Jersey and the nation’s welfare system, schools and police departments. He also criticized the Affordable Care Act, commonly known as Obamacare. Grossman concedes defeat at GOP headquarters at the Linwood Country Club.